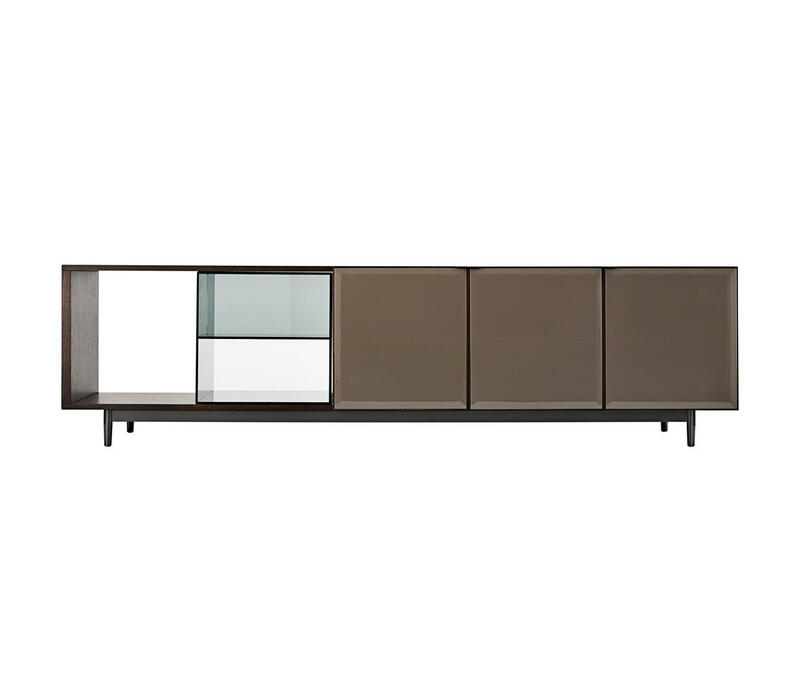 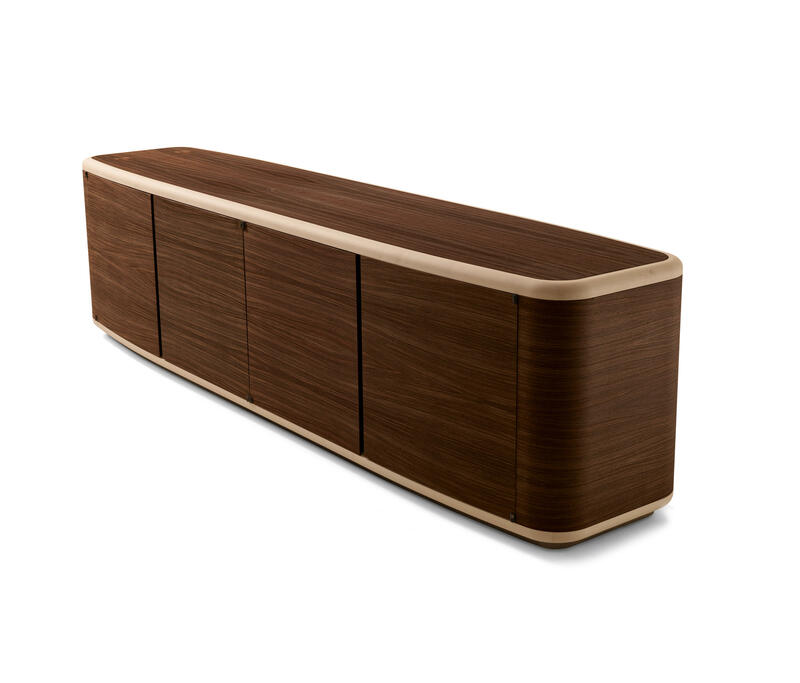 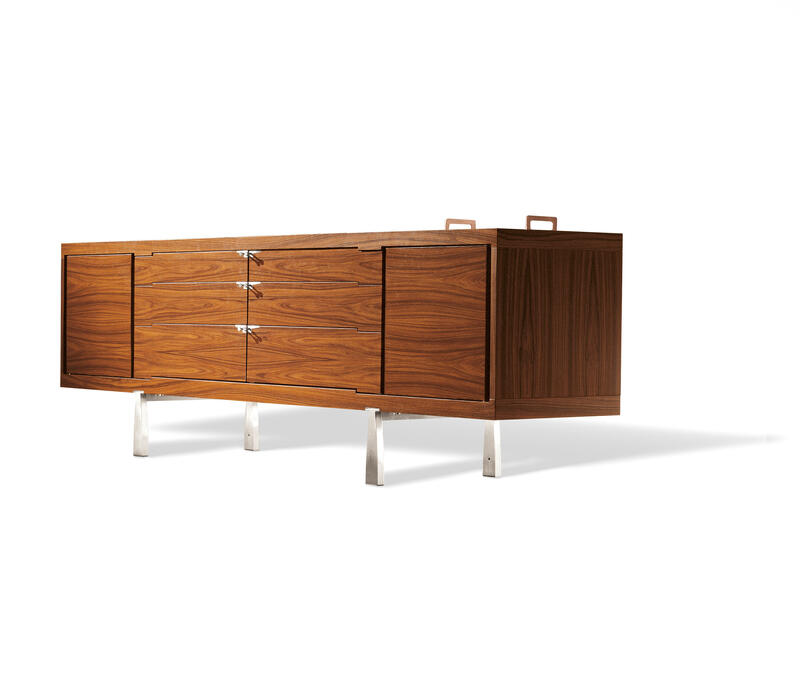 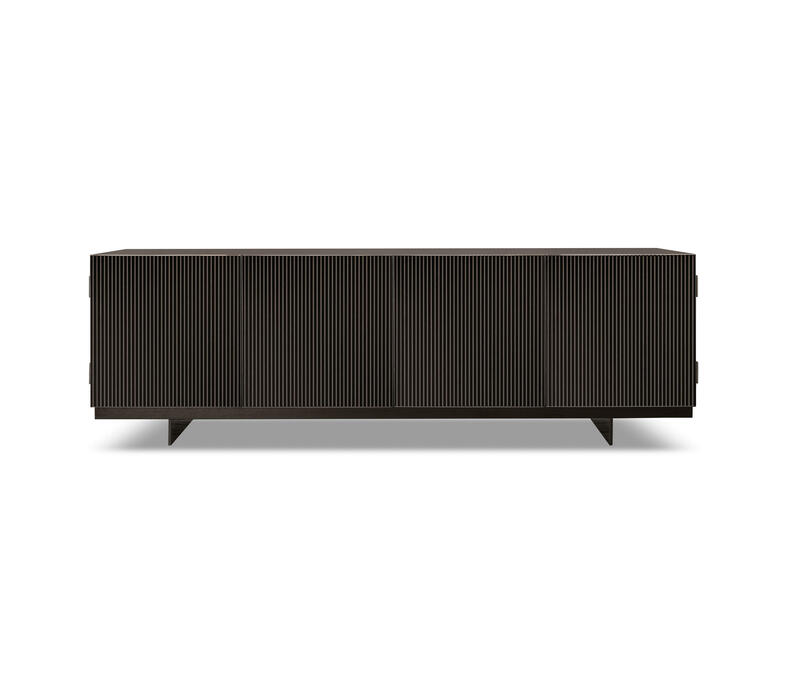 Sideboard with sliding leather doors and the frame in solid wood and veneer in walnut canaletto wood. 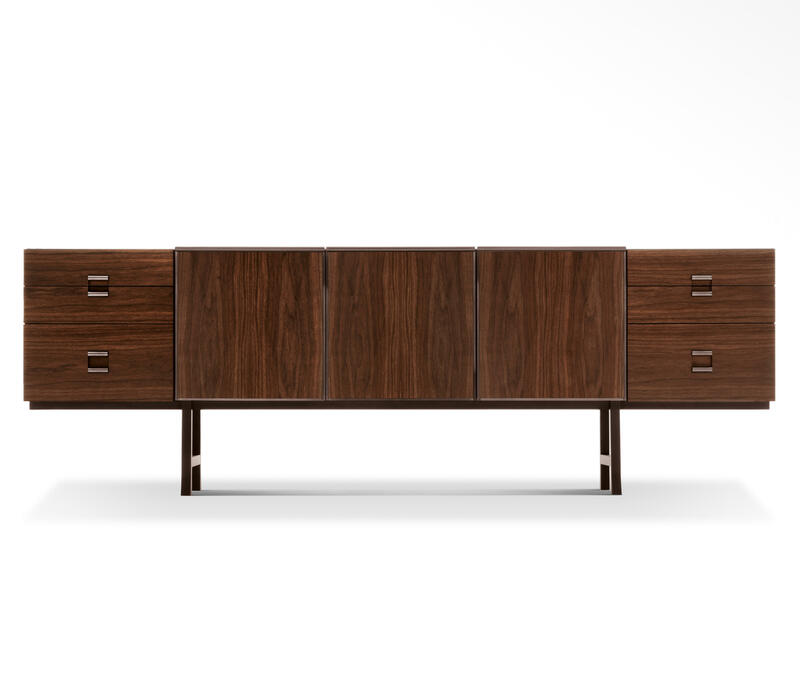 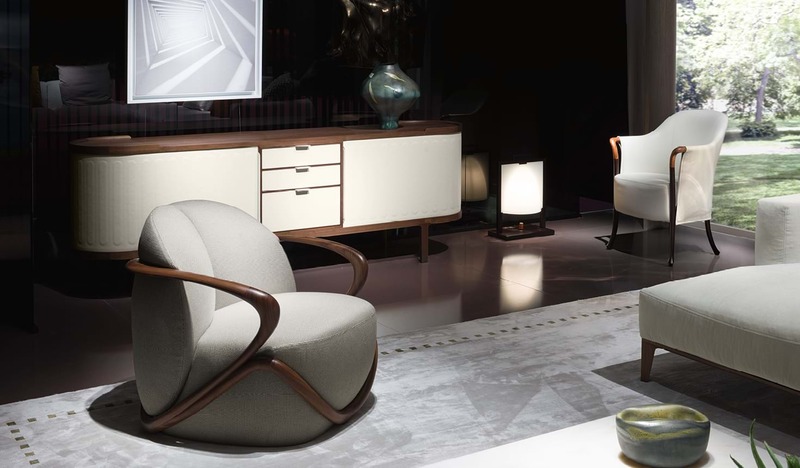 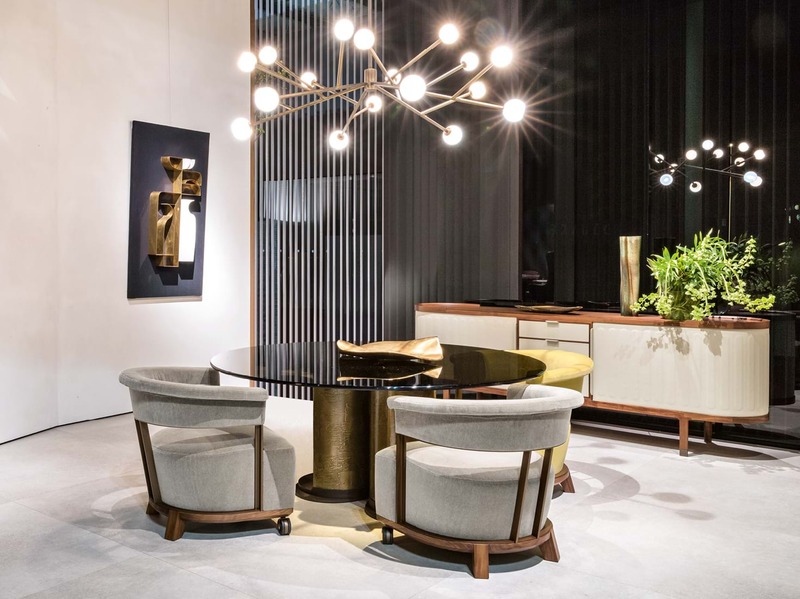 It is composed of one chest of drawers, wood shelves and two adjustable height swivel trays in walnut canaletto wood. 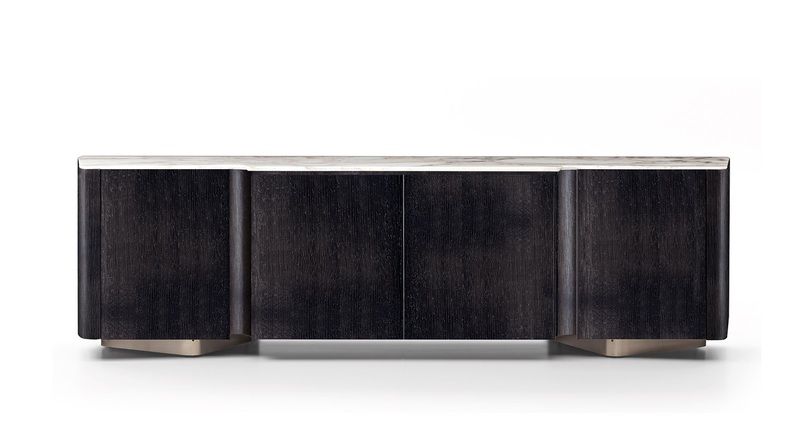 The feet are in solid walnut canaletto wood and the metal foot-caps are painted in a bronze colour.